And now, verily I say unto you concerning the laws of the land, it is my will that my people should observe to do all things whatsoever I command them. And as pertaining to law of man, whatsoever is more or less than this, cometh of evil. I, the Lord God, make you free, therefore ye are free indeed; and the law also maketh you free. Nevertheless, when the wicked rule the people mourn. Leaders elected should be good and wise men. Based on these criteria, who do you think lines up best between Mitt Romney and Barack Obama? Why do you believe this? Honestly, not to be hipster, but you can’t really choose good men these days. Only the better of two evils. I can’t say whether Obama or Romney are good or evil, but I’m going to vote Romney, since we need a more economically minded moderate. By the way, please don’t try and convince me that Romney is any more radical than Obama. Politicians always promise crazy things to their most ardent supporters. Obama told his people that he would work on a requirement that forced young people to do community service as a college prereq (not a bad idea in my opinion) amongst other things. He was literally friends with a domestic terrorist. And gosh. 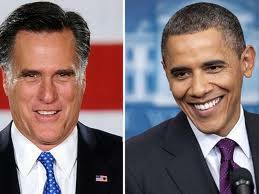 I guess it’s hard not to equate the two, but I’m not voting for Romney because he’s LDS. I don’t believe that he will usher in an era of peace and righteousness, but I do think that he will certainly help balance the checkbook. Any guy who goes after the federal reserve, which by the way is a PRIVATE BANK which holds the power to print and manipulate US currency (as gadianton as any of the drug cartels) is better than someone who favors them in my book. Forgive me for my confrontational approach. Too long I have argued with people who refuse to look past rhetoric of either party. Fools who paint one side as righteous and the other side as the embodiment of evil. I agree with you that both have checkered pasts. I also agree with you that Romney is better equipped and capable to handle economic issues. I happen to also believe he will be a much better manager and leader for our country. If you wanted to generate a stunningly superficial discussion here, you got it. Tell me how citing D&C is superficial in your view. Graceforgrace, I thought you might be interested in the following. If Romney doesn’t have a Republican Senate to work with, his hands are going to be tied to some extent. NV, AZ, MT, ND, WI, IN, VA, MA, CT. Thanks for the updates. As of today it looks like the polls are slipping away from Romney towards Obama. It’s going to be close!